A lot of people constantly need to blame someone for everything that’s taken place. And when it’s all over and done with they also find it hard to forgive themselves. 1 – If you do something you regret let it go… and say I have learned something from this process… I was ignorant before and now I have a little more wisdom. 2 – Let go of attachment to this wrongdoing that took place. We all do things that are not in our best interest. 3 – If you really need someone to blame… then blame your ego. Ego attachment or clinging to ego… makes us do things we wouldn’t otherwise do. 4 – Let go of the desire to blame yourself and anyone else… this doesn’t help. 5 – In the end see this whole learning process as good thing… because you gaining wisdom. 6 – Cling not to anything. Clinging is a desire… and when we let go of desires we end our suffering. 7 – How you can make amends for what happened? Go out and do what you can. 8 – Perhaps there is nothing you can do to make amends but you can make life on the planet better for someone… in some way… to make up for all the turmoil created. So help someone today. 9 – See the event as not important anymore and connect to inner peace… for life is a learning lesson. 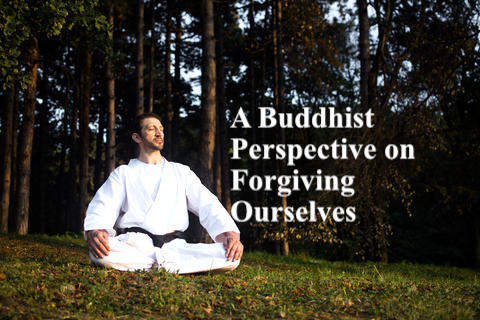 This entry was posted in The Relaxed Soul and tagged A Buddhist Perspective on Forgiving Ourselves, And connect to inner peace, Dr. Paul Haider, Having a Great Life, Healing, Health, Help Someone Else, Here is a Different Path to Forgiveness, HH, If you must blame then blame ignorance, Let Go of Clinging to Ego, Let go of Ego, Make Amends, Make Life Better on The Planet, Master Herbalist, Photo, See this as a learning lesson, spiritual teacher, USA. Bookmark the permalink.